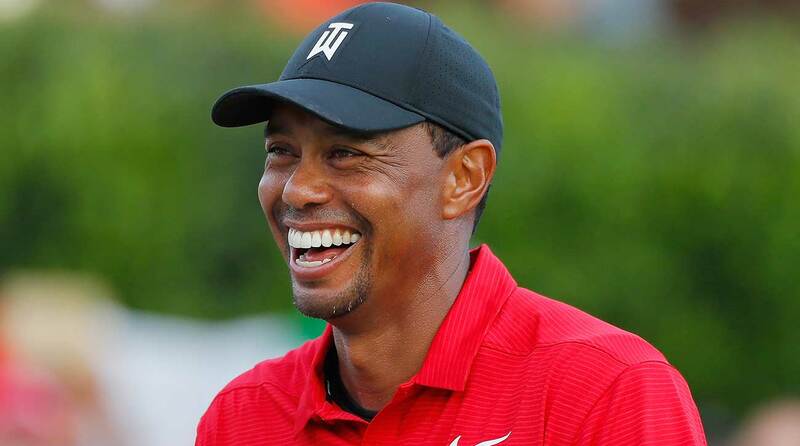 MELBOURNE, Australia — On a busy Wednesday in Australia, Tiger Woods singlehandedly stopped Royal Melbourne Golf Club in its tracks. The world-renowned Sandbelt club is a hotbed for golf-mad celebrities, but none have won 14 major championships. In the afternoon, three members were putting out on the par-5 4th hole of the West course when they were all but frozen with disbelief. There, standing on the tee of iconic par-3 5th — in red Nike shirt and all — was… “Is that Tiger Woods? !” said a wide-eyed bystander. Most members and guests at Royal Melbourne were unaware Woods was in town to promote the 2019 Presidents Cup, where he will captain the U.S. team against Ernie Els and the Internationals. Like something out of an old Nike commercial, golfers basically shanked their practice balls when they saw Woods glide across the driving range to greet a group of local juniors. Among the excitable juniors were Hugo Ruffel, 10, and Jemima Heughan, 11, who enjoyed a once-in-a-lifetime experience of playing the short par-3 with the 80-time PGA Tour winner. An Australian commercial TV network was on hand to capture the rare content. "He’s amazing, like the best golfer ever,” Jemima said. Tiger Woods will lead the U.S. Presidents Cup team to Melbourne a year from now.